A life long fan of motorsport and racing, but only achieving real track time in 2013. Steve joined the Alfa Championship through Barry McMahon after being convinced to buy his ex Irish Abarth Series, Fiat Punto Abarth. A couple of Brands Hatch track days and a hand full of Alfa Championship races in the Invitation class that year were a baptism of fire, but a bug that would never be lost. The 2014 season led to an upgrade and purchase of the ex Paul Plant / Tim Perry 147 which allowed for competition in the E Class (now Twin Spark Cup). 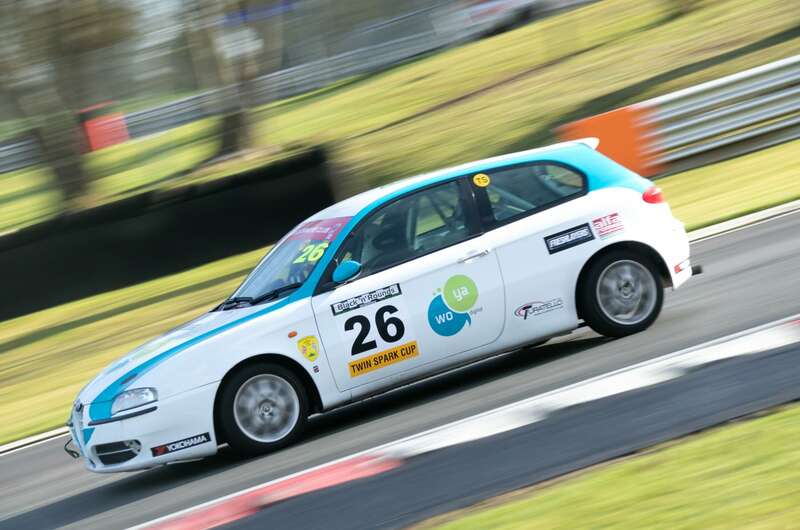 Lots of learning achieved, a near 100% race finish rate and best finish of 3rd at Snetterton. A four year gap marks Steve’s return to the Championship for the 2019 season. Thanks to headline sponsors Woya Digital, it brings fresh hope of a challenge in a near new race prepared 147, with the aim of a full seasons racing and a competitive finish.